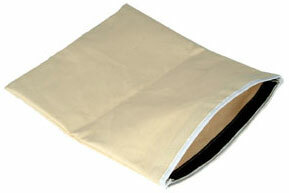 * Heavy duty, double stitched canvas bag with opening for sand. Comes empty. * Dimensions - 12" by 10"